The Career Office of the MBA International Program is pleased to announce the organization of the 2nd ‘Alumni Series 2016′ lecture, which will take place on Thursday, April 14th, 16:00-18:00, at Evelpidon building (room 701). A distinguished i-MBA alumnus and a Project Manager – Marketing & Trading at eBay, UK, Mr. Stylianos Matthaiou, will share his experience with participants on: “International career development – Why and How”. What the market in Greece and abroad asks for? Differences and similarities. 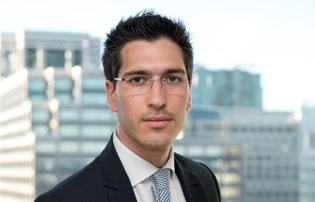 Stylianos Matthaiou is a FT14 MBA graduate with 14 years of international experience in Commercial Management, Business Strategy and Digital Transformation, 7 of which he is operating at a Senior Management level. Passionate about building and motivating successful customer centric teams, he has led both on-site and virtual teams with a span of control of up to 50 people contributing significantly in the commercial growth of the companies he has served. He has founded a successful start-up and he has served in a number of PE backed-up and FTSE 100 companies. The event is open to students and alumni of the program. To register, send an e-mail at itranou@aueb.gr.